What are you hoping for in 2018? What are you hoping for in 2018? More adventure? More exercise? Better health? New hobbies? (That’s what my life is all about!) Every year, we are determined to keep our resolutions but somehow… they putter out. 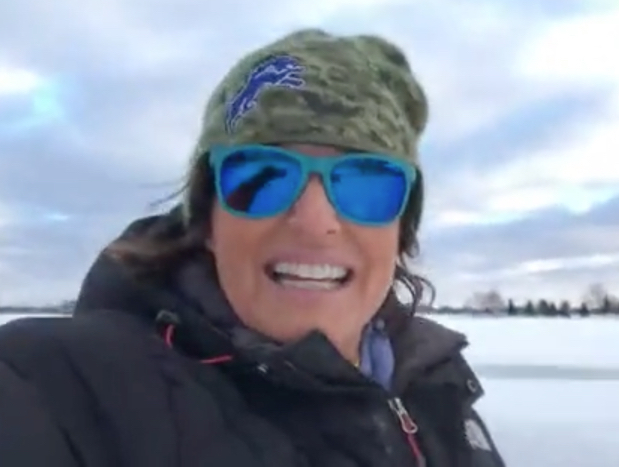 So, to start this year off on the right foot, I stuck both feet into snow shoes and headed out onto the frozen tundra… the perfect spot to share with you 3 ways to make sure your resolutions are solid on the ice! Get specific. Success is in the details. Know what you need to do. Make a list of all the things that have to happen to make your resolution reality. Do you need to buy equipment? Do you need to clear space in your home or on your calendar? Make a date. If it’s not on the calendar, it’s just a dream. Make sure your goals are clear, concise and attainable with an action plan.